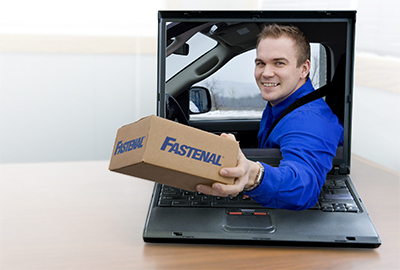 Fastenal's E-Business solutions are designed to streamline business processes while leveraging our local presence to provide the fastest possible service. This includes something no other national supplier can offer: same-day service for locally stocked items. Need it today? Filter by items nearby to see if the item you're searching for is stocked on your local branch shelves. View the item you originally searched for, as well as "Alternative Items" offering the same fit, form, and function — potential solutions for a faster lead time or lower cost. Control non-compliant spending by setting employee purchase limits, establishing authorized users and approvers, and creating an automated approval workflow. 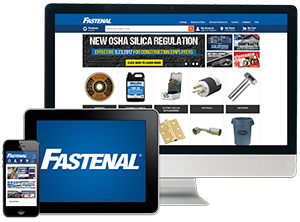 Fastenal's in-house E-Commerce department has nearly 20 years of experience developing and implementing custom integrated solutions for a broad range of customers. Our integration solutions are backed by local inventory and a familiar face for each customer location. Our easy-to-use punchout catalog keeps you connected with your servicing location(s), with the ability to direct users to locally-stocked product options for same-day service. Your FAST Crib program can include anything you wish to control, issue, return, monitor, or procure. Items are loaded by part number to create barcodes that can be scanned and tracked to provide real-time inventory visibility. This works for all parts, not just items supplied by Fastenal. Manage all of your suppliers via a single portal utilized by all employees — great for managing spot buys, controlling rogue purchasing, and channeling spend to preferred suppliers. Comes pre-loaded with a Fastenal reference database. Streamline preventative maintenance with pre-formatted work orders tied to inventory with Bill of Material generation. Be proactive in your maintenance and understand the true cost to maintain assets and your facility.